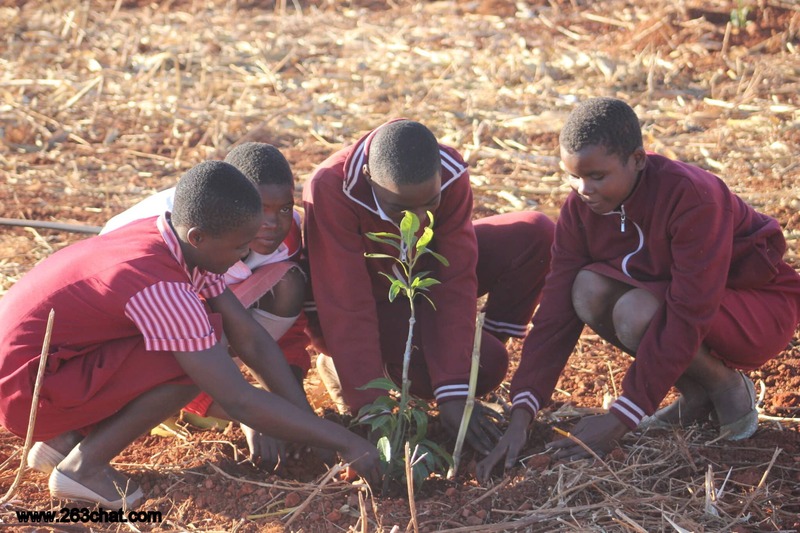 Ecobank in collaboration with Ministry of Environment, Water and climate, the Forestry Commission and Environmental Management Agency (EMA) on Tuesday joined the rest of world in commemotrating the World Environment Day by planting various types of Woodlots and Fruit trees at Umzururu Primary School in Zvimba District. In a statement, group Chief Executive Officer Ade Ayeyemi said the bank has a huge responsibility on social and environment. The bank’s Country Director Moses Kurenjekwa said the bank is a people’s bank which cares about their welfare. “Ecobank is a bank of the people, for the people, and we care very much about our local communities and our environment. Our ‘Planting today. Protecting tomorrow’ initiative is part of our strategy to ensure that we save the planet for our children, our grandchildren and all future generations” said Kurenjekwa. Globally, it is estimated that between 3.5 billion and seven billion trees are cut down every year and Ecobank’s tree planting initiative, ‘Planting today. Protecting tomorrow’, is taking place in each of the 33 countries in which the bank operates. The bank firmly believes that its long-term success is intertwined with the sustainable development of the economies, societies and environment in which it operates. Ecobank will also be donating garden implements to local authorities for them to use to nurture and grow the planted seedlings.